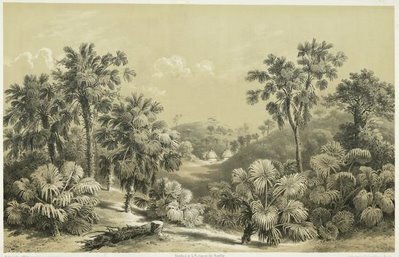 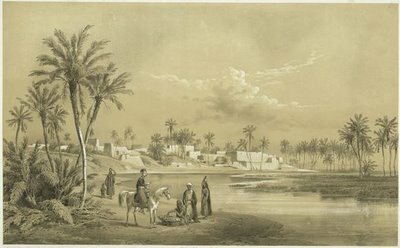 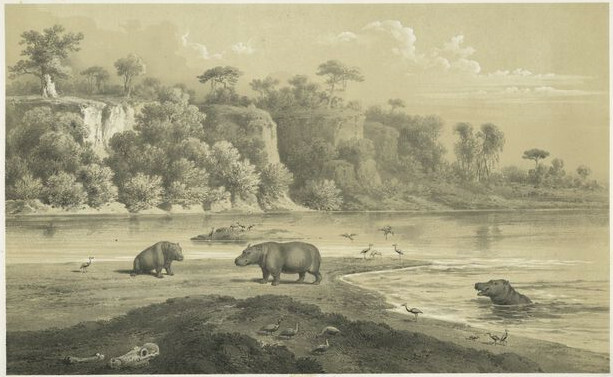 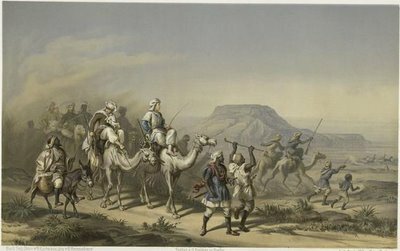 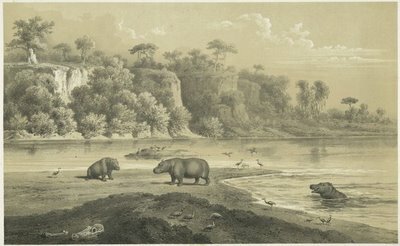 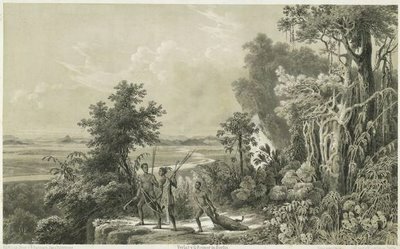 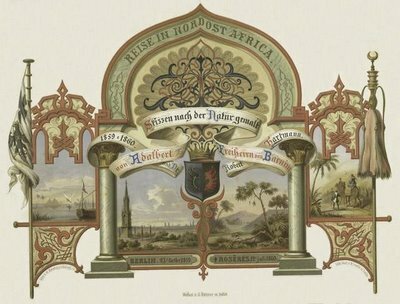 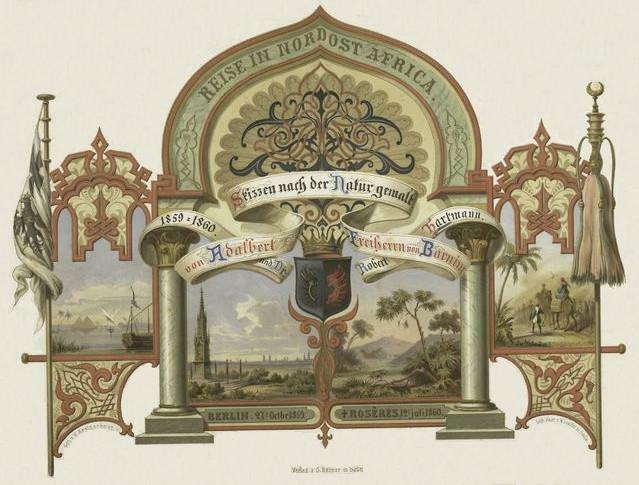 These images come from 'Reise in Nordost Africa' (Journey in North Africa) in which the Prussian Baron Adalbert was accompanied by the physician Robert Hartmann on an expedition centred around the blue Nile river in 1859-1860. 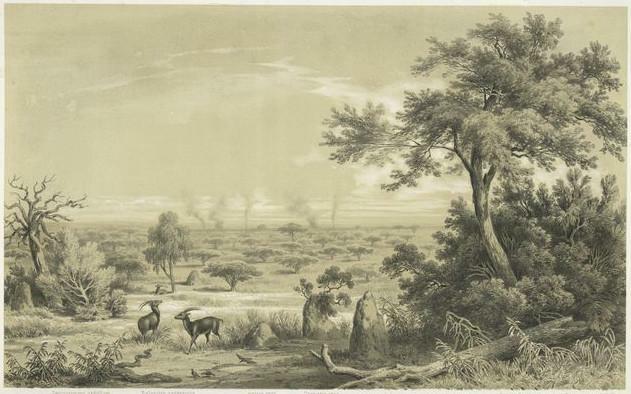 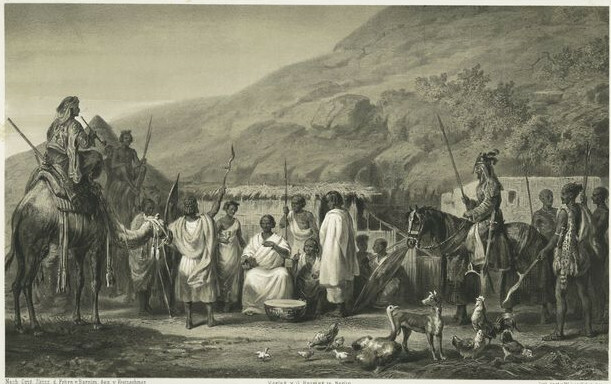 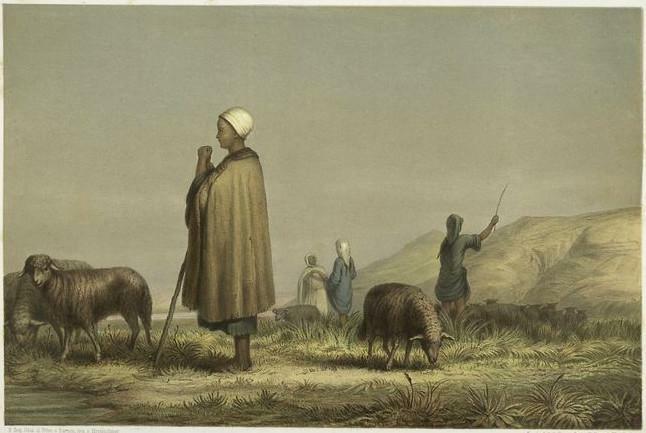 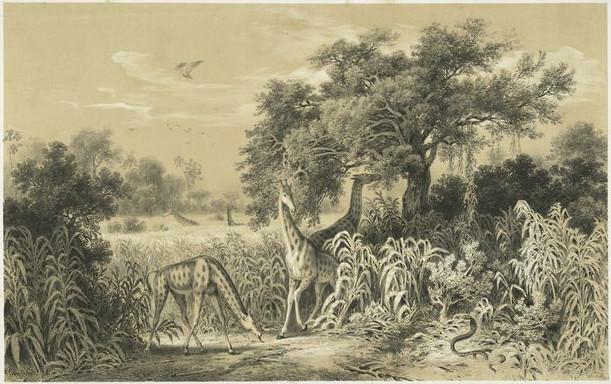 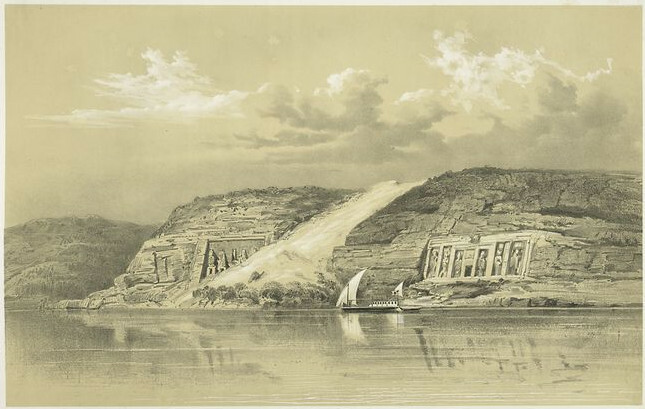 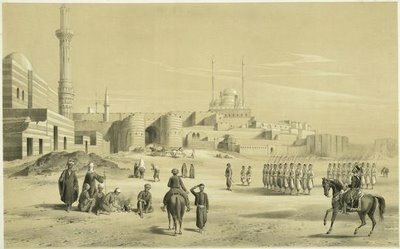 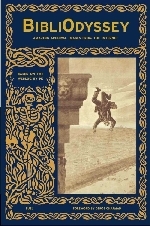 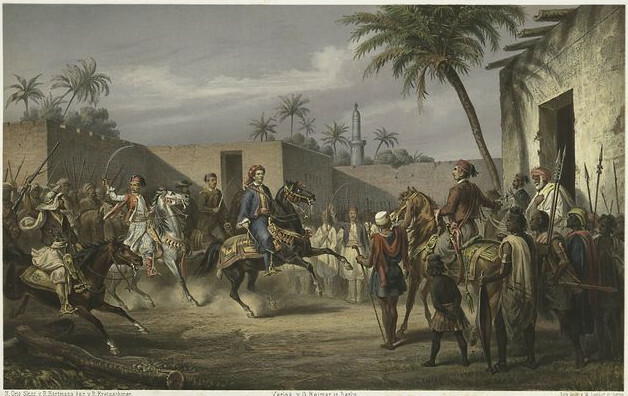 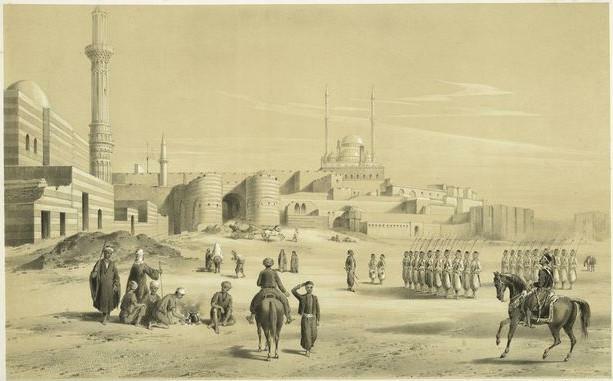 Their journey took them to Egypt, Sudan and Nubia and both Adalbert and Hartmann produced the artwork which was later rendered into these beautiful lithographs in Berlin where the book was published in 1863. 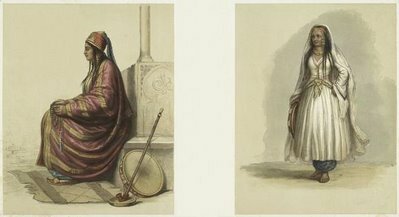 There are 3 pages of thumbnail images at NYPL.